Hamad Buamim, President of Dubai Chamber of Commerce and Industry, received Ahmed Mahboob Musabih, Director General, Dubai Customs, to discuss ways of enhancing cooperation ties and strategic partnership. The meeting focused on developing mechanisms for joint cooperation and to work together in the area of ATA Carnet issuance and to allow the business community to draw maximum benefit from the system, which will support exhibitors during the World Expo being hosted in Dubai in 2020. With its focus on the ATA Carnet system which has been introduced and implemented by Dubai Chamber and is supported by Dubai Customs, the meeting also exchanged expertise, knowledge and best practices in line with the government’s directives to work jointly in serving the customers. 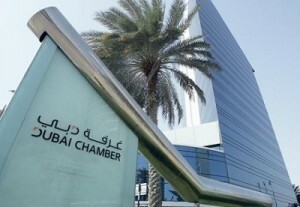 On his part, Musabih expressed his organisation’s willingness to cooperate with Dubai Chamber in all common areas of operation. He said: “We at Dubai Customs are keen on enhancing joint cooperation with our strategic partners in line with the vision and directives of His Highness Sheikh Mohammed bin Rashid Al Maktoum, Vice-President and Prime Minister and Ruler of Dubai, which emphasise on integration and teamwork between government departments, in order to ensure world-class services to all stakeholders in the UAE in general and Dubai in particular.” Dubai Chamber is one of our most important strategic partners as we enjoy excellent relations with the organisation and work jointly in developing value-added services to the community,” he said.